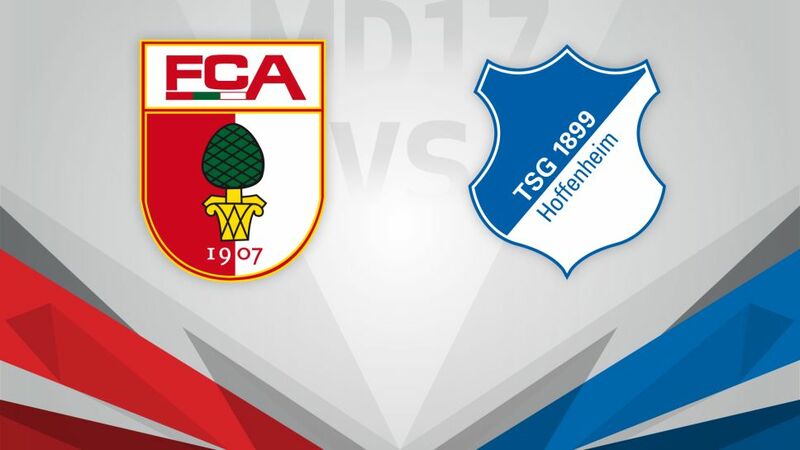 TSG 1899 Hoffenheim will look to complete an entire first half of the season without losing when they head to FC Augsburg this Saturday (kick-off 15:30CET/14:30GMT). With coach Manuel Baum confirmed until the end of the season, Augsburg can now look to put their heads down and build on a string of positive results at the end of 2016, including an impressive 1-1 draw at Borussia Dortmund on Matchday 16. Die Fuggerstädter have suffered just six defeats so far this season and will now set a new club record for the first half of a Bundesliga campaign, which currently stands at a minimum of eight losses, irrespective of the result against TSG. Hoffenheim are bidding to become only the sixth side in Bundesliga history to reach the halfway mark of the season without tasting defeat. The Sinsheim outfit are also the only club in Europe’s top five divisions yet to lose in the league this campaign. While TSG will be rightly proud of their efforts, they will be keen in 2017 to begin converting draws into victories: Julian Nagelmann’s side have drawn ten of their 16 fixtures this season, including the last three in a row at Eintracht Frankfurt, at home to Borussia Dortmund and SV Werder Bremen. Click here for more Augsburg news!